I’ll be leading a variety of guided walks across Essex and Suffolk during 2019. I’m going to be involved in a number of festivals during the year, including the Essex Book Festival, The Suffolk Walking Festival and the Resorting to the Coast Festival which will be running on the Essex Coast around Clacton, Frinton and Walton on the Naze. wenches and many other fictional characters and their creators who have known the streets of the ancient town. 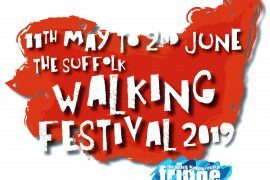 The Suffolk Walking Festival Tuesday 28th May Sudbury: Weave Around a Wool Town. This is a walk around the thriving market town of Sudbury, where you’ll be able to discover its rich heritage and hear how the weaving trades and its residents shaped the town as we make our way around Sudbury’s attractive streets. Resorting to the Coast Discover and reminisce about all the fun of a holiday in Clacton as part of weekend of family fun celebrating Clactons history as a much loved holiday resort.The walk will take place on Saturday 25th May starting at 3:00pm from the West Cliff theatre. 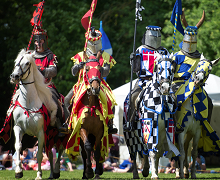 As well as the walk there will be lots of events taking place in the theatre and the nearby St. James’ church hall. The walk is free.